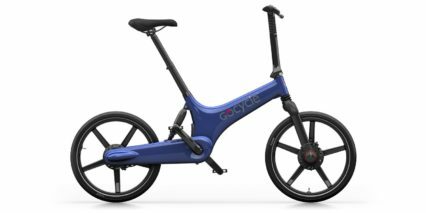 Gocycle is the brainchild of Richard Thorpe, a design engineer with a 25- year career working in the motorsports and light electric vehicle industry. So passionate was Richard about creating the perfect e-bike that he left a dream design job with McLaren Cars to dedicate all of his time to that purpose. With his experience in designing lightweight racing car components and enthusiasm for innovative engineering excellence, Richard believed that an e-bike should be elegant, desirable, a joy to live with and fun. Inspired by F1 high-performance and design, Gocycle is the first injection-moulded magnesium alloy bicycle in history. Both the monocoque chassis and the Pitstop-Wheel® are made using a special magnesium moulding process called Thixomolding®. The company behind Gocycle was founded is Karbon Kinetics Limited (KKL) and was founded in 2002 with a mission to develop the world’s most innovate and technologically advanced electric bicycle. 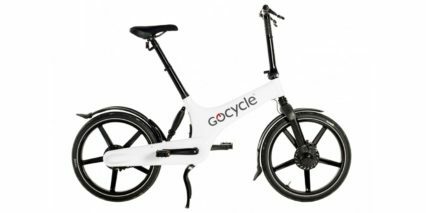 After an extensive and in-depth product development process, the Gocycle G1 was first made available to the public in April 2009. The second generation Gocycle G2 was launched in 2012 in Europe and became available for sale in the USA in October 2014. 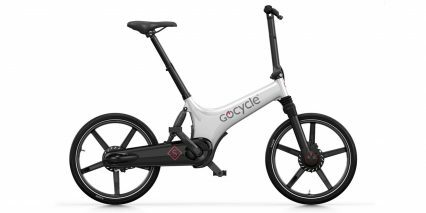 Gocycle’s electric motor powers the front wheel, pedals power the rear for balanced two wheel drive. Lighter and providing better front/rear weight distribution, this system also provides powerful advantages when the lights go green. Conventional e-bikes use derailleur gears which can leave even experienced cyclists in the wrong gear at the lights. Not only does Gocycle’s predictive electronic gear shift ensure that you are never in the wrong gear, the front hub drive never can be. Only Gocycle makes sure you always make a clean getaway. Lightest in class, Gocycle also has perfect fore-aft weight distribution with mass centralised around the bottom bracket. The low centre of gravity makes the bike agile and responsive to ride, and easy to lift and manoeuvre at home. Centring the mass of Gocycle makes it easy to handle. All cables and drive components are sealed away so there is no oil or mess. Gocycle is also portable and stowable, no other e-bike has the versatile dynamics of Gocycle. It packs away perfectly for transit or storage where space is tight. Ideal for a boat or motor-home or city living space. The Pitstopwheels® can be quickly removed for easy storage. The compact wheels are not only convenient, but they are fast! On September 2013 in Battle Mountain, Nevada, Gocycle’s Pitstopwheel® became the fastest bicycle wheel in the world when the VeloX reached a top speed of 133.78 km/h (83.6 mph) setting a new world speed record for human-powered vehicles. They say you can’t re-invent the wheel or improve the design of the bicycle. Gocycle did both. An automotive joy to live with, Gocycle is ergonomic, elegant, lightweight, ingenious and fun. A talking point wherever it goes.